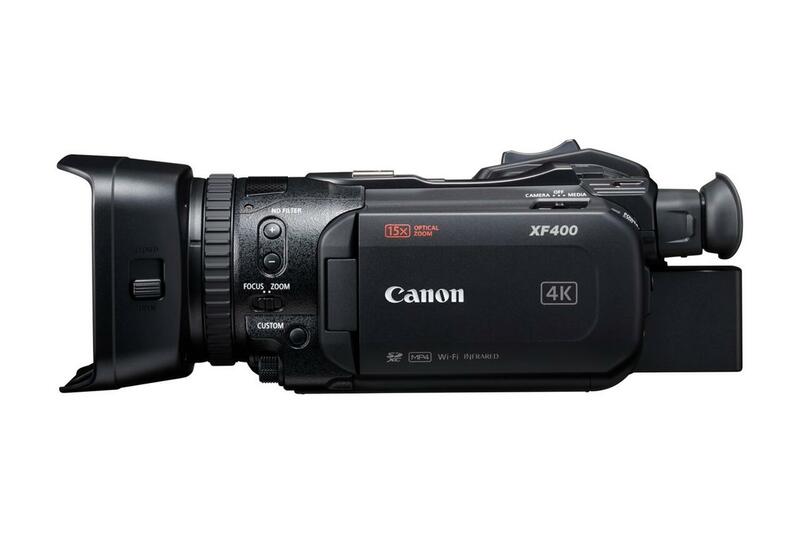 The XF400/XF405 Professional Camcorder offers an outstanding combination of 4K UHD image quality, features and functionality in a compact portable design ideally suited for government, broadcast, education, corporate and event videography for cost-effective 4K UHD quality video. 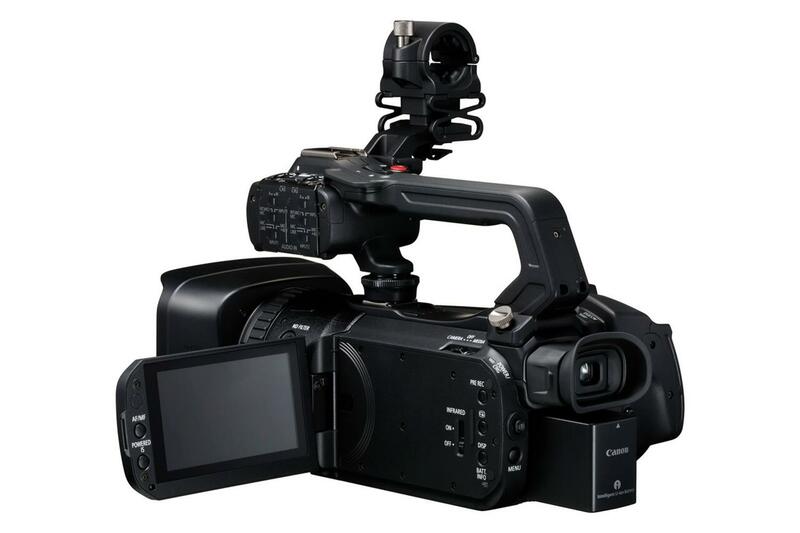 Featuring a 1.0-inch 4K UHD CMOS image sensor and dual DIGIC DV 6 Image Processors, the XF400/XF405 records in MP4 format to dual SD card slots. 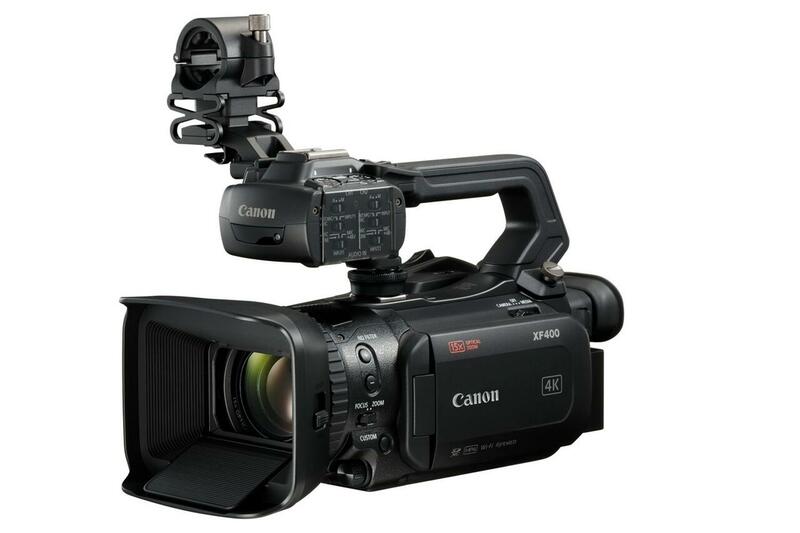 The camcorder is capable of recording 4K UHD video at 60p, as well as slow motion recording up to 120fps in Full HD. A 15x optical zoom lens maintains 4K UHD quality throughout the entire zoom range, while the camcorder's Dual Pixel CMOS AF helps facilitate fast and accurate autofocus. 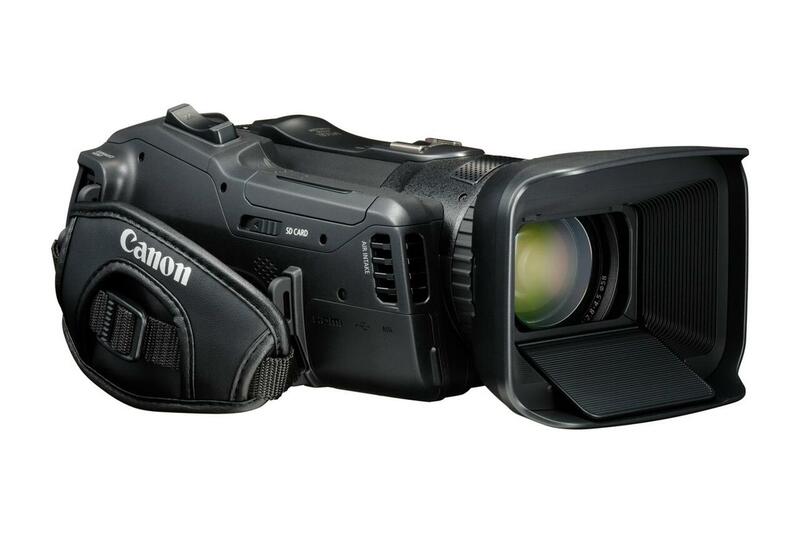 The XF400/XF405 Professional Camcorder features Dual Pixel CMOS AF, Canon's exclusively developed high-speed, high-precision autofocus technology. 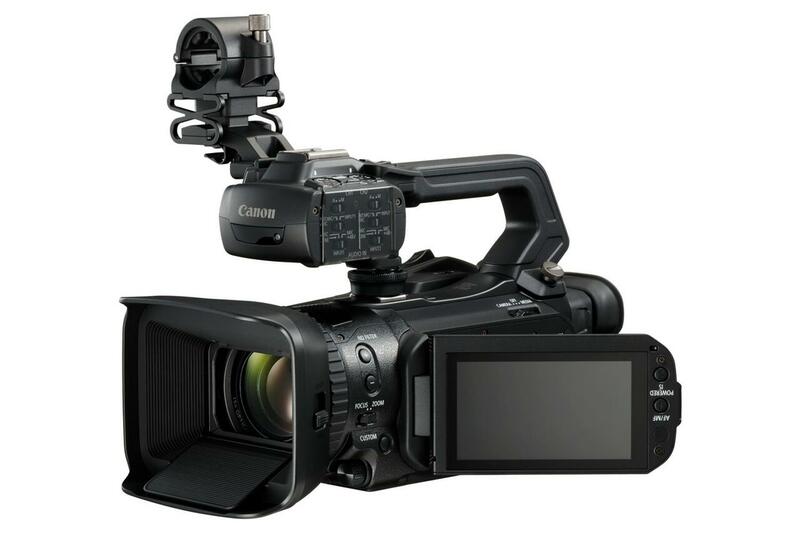 Dual Pixel CMOS AF assists not only with standard shooting, but also with 4K UHD 60p, Full HD 120p and other high-frame rate applications that require crisp frame-by-frame accuracy. 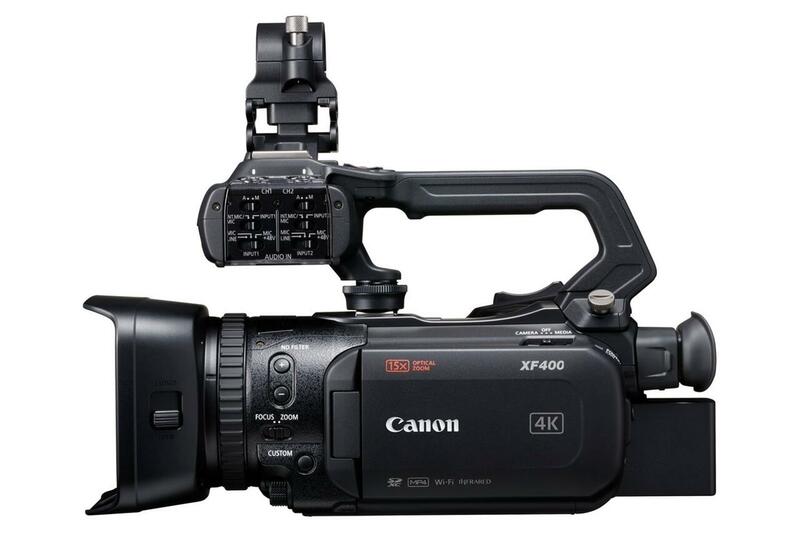 The XF400/XF405 camcorder also incorporates a 5-axis Optical Image Stabilization (IS) system. 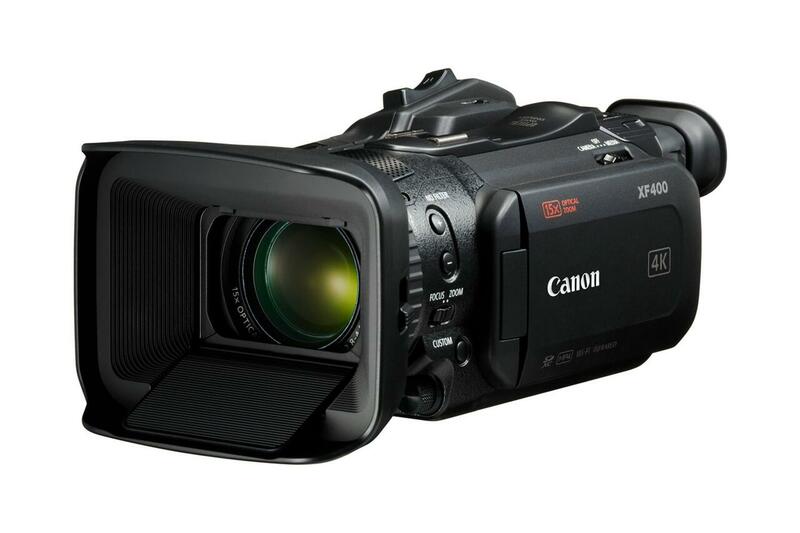 Simultaneous or relay recording in MP4 format to the XF400/XF405 camcorder's dual SD card slots is possible. Simultaneous recording allows you to record on both SD cards at the same time, so that you can use one as a backup. Relay recording allows uninterrupted recording from one card to the other when the first memory card becomes full. 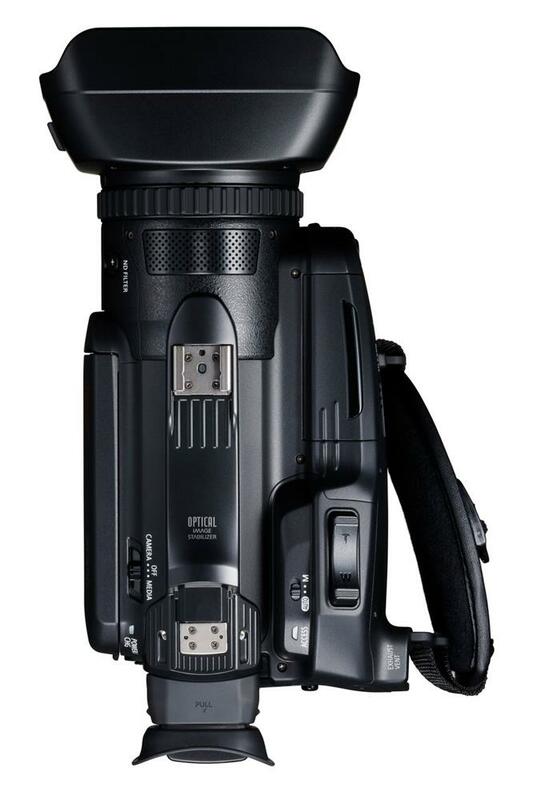 The XF400/XF405 Professional Camcorder features a 3.5-inch Touch Panel LCD and a newly designed 0.24-inch Electronic Viewfinder (EVF). The Touch Panel LCD and EVF both display approximately 1.56 million dots and provide visual recognition of desired features along with a full array of menu options for controlling camcorder settings. The Touch Panel LCD works with Canon's exclusive AF technologies for easy monitoring and one-finger tap-focusing during shooting and the EVF offers 60° of tilt for more comfortable operation in a variety of positions. 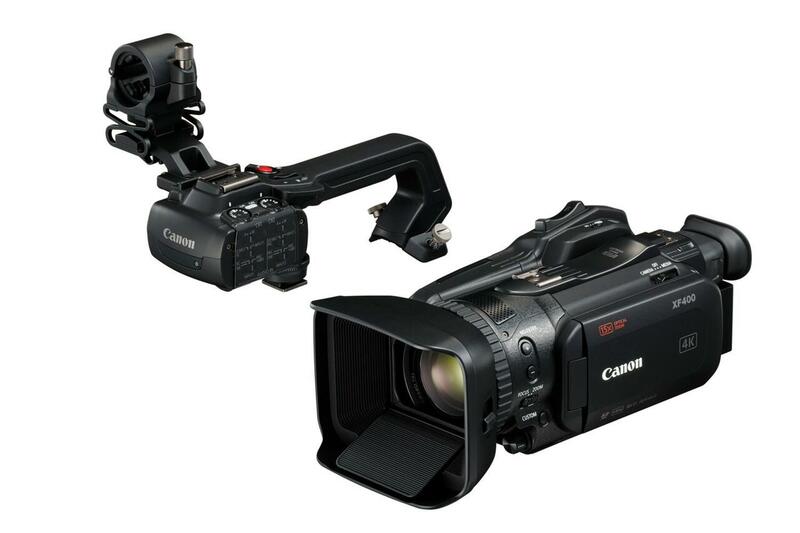 The XF400/XF405 Professional Camcorder features an HDMI 2.0 terminal that supports 4K UHD 60p output. The HDMI 2.0 terminal allows the camcorder to be connected to a standard external SSD/HDD recorder, enabling conversion to ProRes and DNx formats for efficient editing and storage. 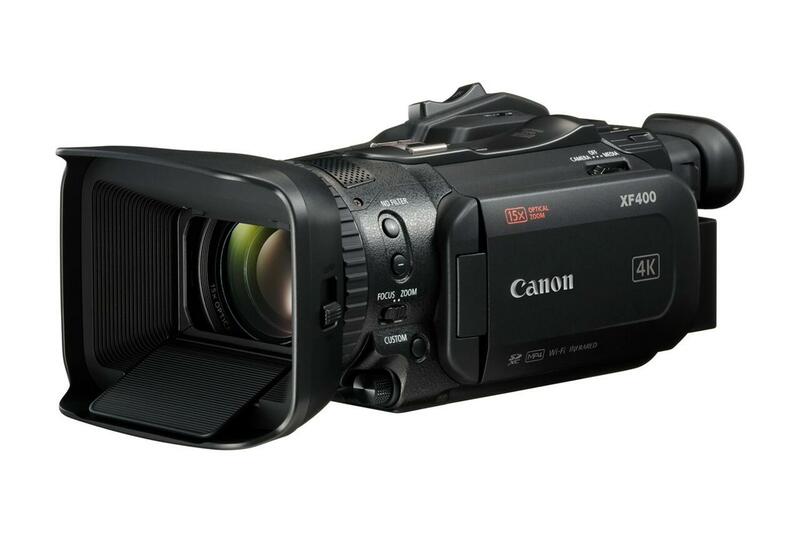 The XF400/XF405 Professional Camcorder features a Canon 1.0-inch 4K UHD CMOS image sensor capable of 4K UHD video capture at 60p and slow motion recording up to 120fps in Full HD, making the XF400/XF405 camcorder a strong contender for professional productions, creative fields and more. 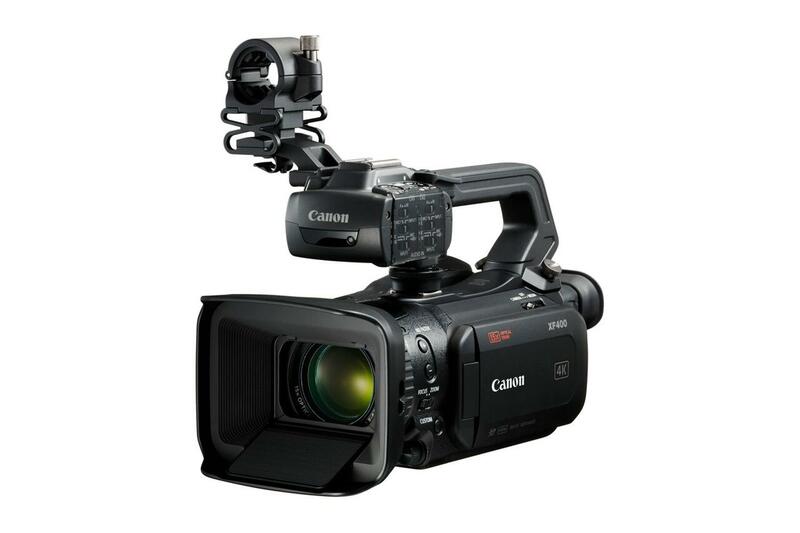 The detachable handle unit can be quickly and easily attached to the camcorder body without tools. 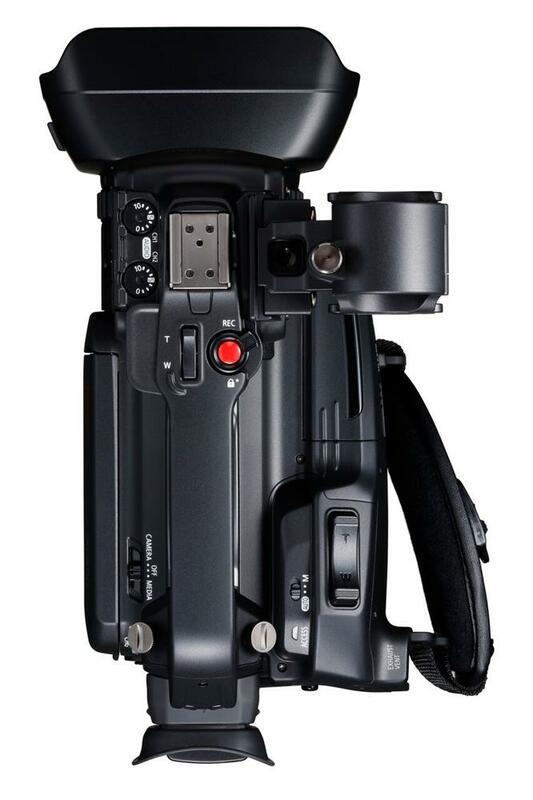 The handle includes a zoom lever, a start/stop record button and two XLR terminals to support professional audio. The handle is also capable of mounting a mic holder and features a cold shoe that can be used to mount a variety of other optional peripherals. 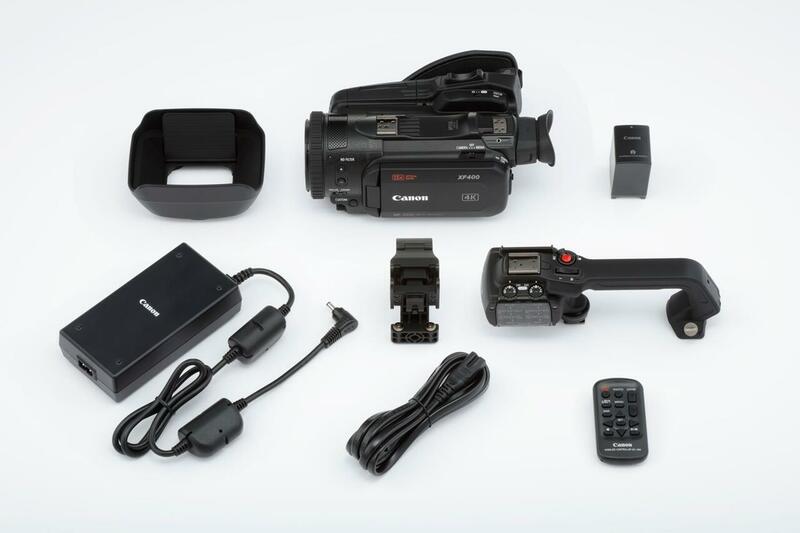 The XF400/XF405 Professional Camcorder offers both wired and wireless connectivity to enable recorded files to be shared and transmitted back to the station or home base via FTP for editing or live streaming. 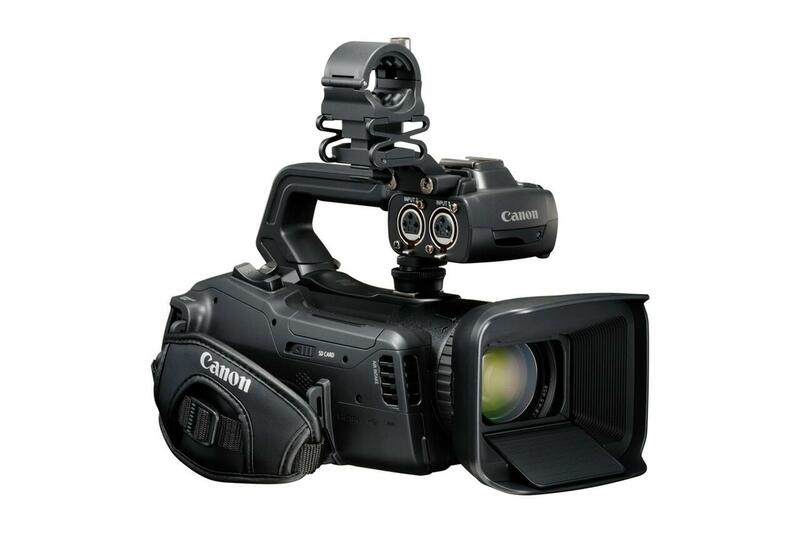 The camcorder can also be accessed remotely from a normal web browser running on a laptop or a compatible smart device to control functions such as record start/stop, AF/MF switching, focus/zoom settings and white balance mode. Background transfer of MP4 format video files via FTP links is also possible, enabling the latest news images, for example, to be distributed quickly over the Internet.